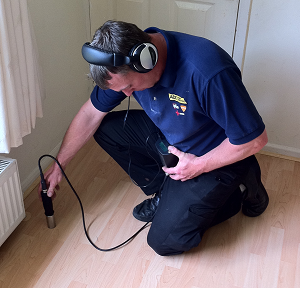 By providing our engineers with the very best in leak detection equipment and tools we’re ensuring that they can carry out a thorough and non-destructive leak investigation on your property. 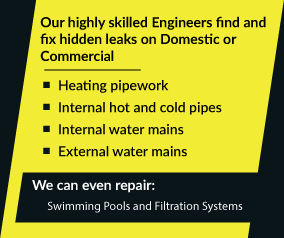 Our equipment is advanced enough to trace leaks either above or below ground and we can find the source of up to 98% of all leaks within one working day. Don’t worry about the costs involved because ADI have some of the most competitive pricing in the leak tracing and resolution business. Our services are also available for hire to clients living anywhere in the UK. Call 08007313843 to speak to one of our friendly and helpful staff now about your problem.